In order to better respond to market needs Rocla AGV Solutions is strengthening its customer focus by forming a Solution Management team. Solution Director Kari Johansson and his team are responsible for transforming market information and requirements into development targets and coordinating offering portfolio development both on R&D and business solutions side. 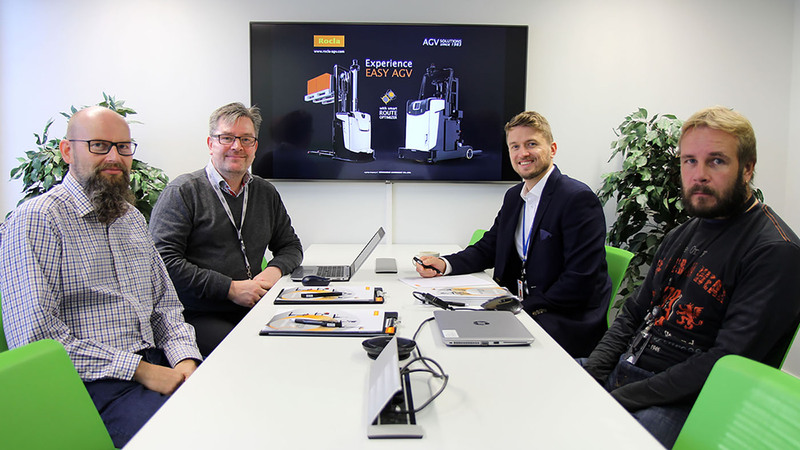 Based on the offering portfolio and respective digital tools, the team provides the means to expand the AGV business to both Rocla AGV Solutions and its partners. Most importantly, solution management will bring added value to customers, as innovations and developments are delivered faster to the market. “I’m very excited to be part of the development. Rocla is constantly bringing something new to the AGV market, such as the recently launched Route Optimizer. It guides AGVs to drive and by-pass so fluently that transport capacities have increased up to 38%. Sometimes I wish the features could also be utilized on my every day commuting!”. Solution Management team (from left to right): Pekka, Kosti, Kari and Harri.